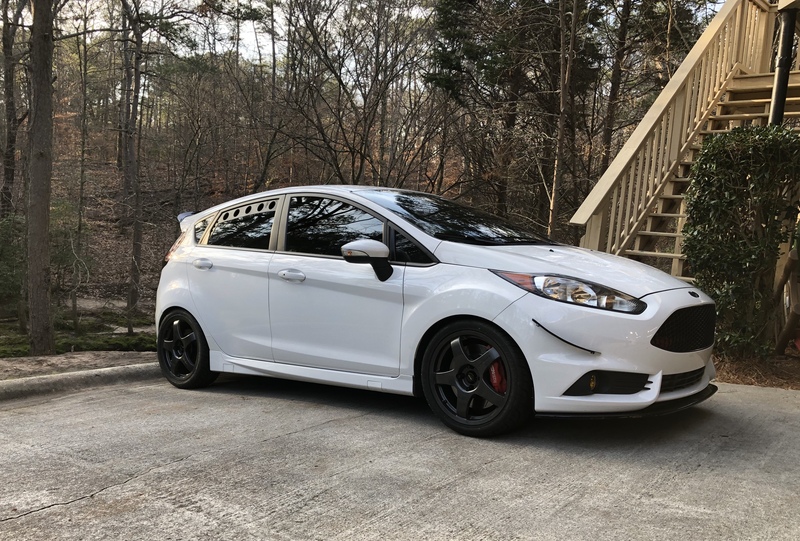 Thread: What did you do to your Fiesta ST today ? People who want to mod and still want warranties are funny. Lol I did custom crease in the fender due to snowstorm today. Well partially my fault as thought was good idea to be screwing around in snow. WTB orange spice drivers fender. Are there engineering degrees and certifications that one should look for in a "reputable" tuner? From multiple experiences throughout life, I've learned that reputation is not necessarily the best judge for competency and quality. What degrees and certifications do the employees on auto-makers' engineering teams hold? We all seem to agree that the owner takes on the responsibility of self-warrantying drivetrain damage, from the point that it is altered. Not sure if your question was just self assurance to justify your decision to not modify or what, but Cobb Pro Tuners are certified in what is allowed to be done with our engines. I think you are vastly underestimating the ECU's safety features and how tuners know how every little change can affect other systems and how they remain within ECU safety parameters. I mean, if you just turn up the boost, boom, timing get cut, I could go on and on but there are clearly defined parameters that yes, reputable tuners know how to stay within for good results and reliability. Ford engineers don't get decide hardly anything, the bean counters get to decide mostly. With a stock turbo on our cars, Ford went with a tiny turbo for plenty of torque, there isn't a ton of more HP available with it anyway. 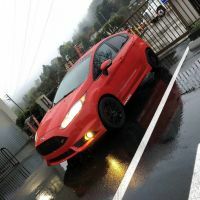 I'd say the Cobb Stage 1 adds just some torque that Ford neuters out of the tune that is not enough to cause probs but I felt it added to the actual daily driveability and now my Dizzy tune surpasses that. With hundreds of sensors and the overbuilt nature of our engine, I just don't see the need to worry much about it, it's a car meant to have FUN with and research shows very few blown engines. The example you give is someone who replaced the turbo and then ran out of methanol for his WMI setup, pretty clear screw up not even close to running just a tune man. 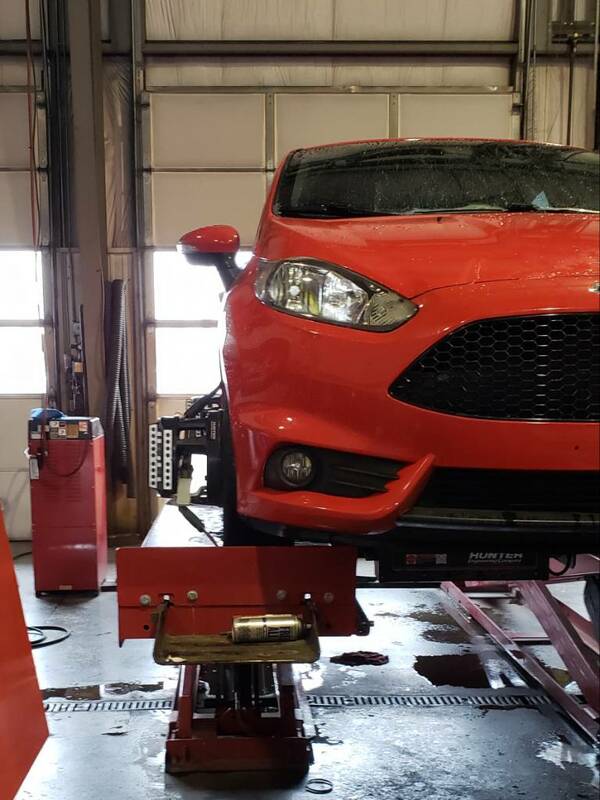 Work is boring so I checked the alignment on the Fiesta. Everything is still in spec. Almost at 60K just a few more miles. Passed 40k on the way to work Thursday night, so it was time for an oil and filter change today. Switched from Penzzoil Ultra Platinum 5w20 to Ultra Platinum 5w30. Glad it warmed up to 20° with no wind compared to yesterday at -5° with wind chill. Installed a Mountune FMIC today in preparation for track season. Charge pipe will go in tomorrow. Installed a Mountune charge pipe (after installing the FMIC yesterday) Looking forward to quicker laps at the track because I was losing boost due to heat soak with the stock intercooler. Which rear window vents do you have...the ones from Ron? « Fury motoring. Beware beware. 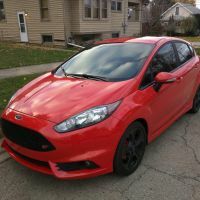 Tested a Fiesta ST followed by a Focus ST today!